Maybe something over there on the right side? Well the dream is becoming a reality and my book will be available October 31 or as I will be promoting it, Shifetober 31. You will be able to order the electronic or paper book version there. Right now the paper book isn't available for pre-order because I need to review the proof but it will be up soon. 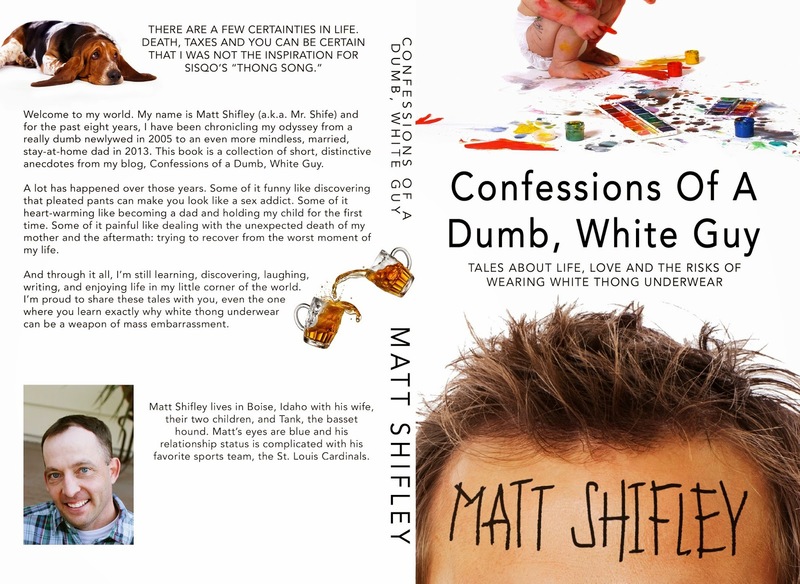 The paperback will sell for $10, and if you want a personalized copy just send me a message on the form on the right or send me an email at mshifley@gmail.com. For personalized copies, just send payment via PayPal and then I'll order a copy then mail it to you. This is exciting and stressful all at once but so far so good. Finally in an effort to help spread the word, I will be having a contest in Shifetober and 4 lucky winners will get a personalized copy of the book as well as a special bookmark. I'm not 100 percent on the contest but it will be probably be stuff like guess how many times the words Ambushed Paddington are mentioned in my book. Well, that IS exciting!! Love the cover, but not sure why you used a picture of Kyle for the authors photo :) Looking forward to reading it. I'm smiling like a proud parent. I'm impressed and looking forward to reading it. Whoopee. Can't wait to read it. Hoping I can get it on Amazon UK. Love the cover, Matt. Did you design it? Yes, I can. Oooh that's exciting. Have put it in wish list.... roll on October so I can get reading. looks excellent. it's about time someone knocked that david sedaris guy off his high horse! Dang! Congratulations, man! I've "known" you so long, and this is really and accomplishment. The doctor is proud of you! Groovy man, I'm glad it's all coming to fruition for you. You always brighten my day, Shife.